Commencal is a name that’s been at the forefront of a lot of people’s minds recently due to the unbelievable success of team riders Amaury Pierron in downhill and Cecile Ravanel in enduro. Everybody has been eager to get aboard the sleds propelling these riders to glory. Both the Meta 29 and Supreme DH 29 are pure race pedigree bikes, but what happens when Commencal turns their attention towards something more freeride-centric? The Clash is that foray into the fun, playful category, and I was eager to see how it went. The Clash is available in a range of builds to suit every budget. I was lucky enough to test the Race model, which sits around the middle of the price range, and features a 180mm Lyrik RC2 up front and a 165mm Super Deluxe RCT coil in the rear. First impressions of the Clash scream fun. Coil shocks have been making a resurgence of late, with their incredible on-trail feel and supple response, so to see one here was a welcome sight. 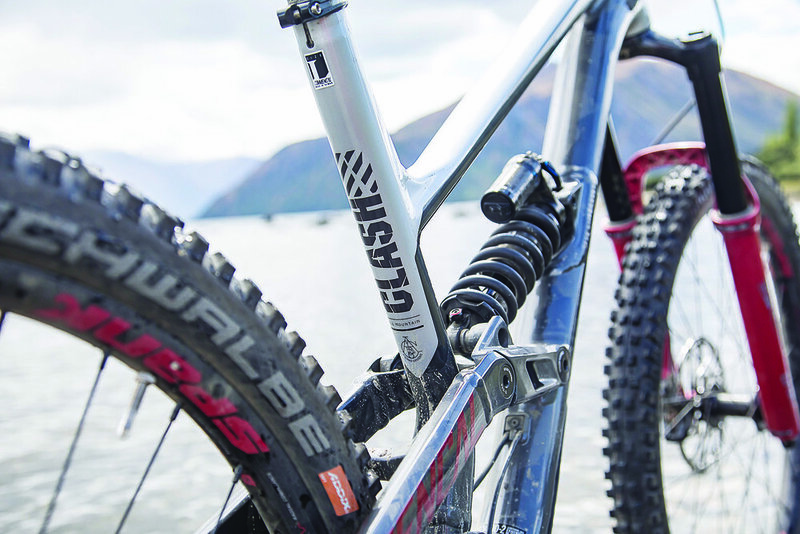 Commencal have gone over every detail of the Clash’s build, with everything serving a purpose to the overall package. 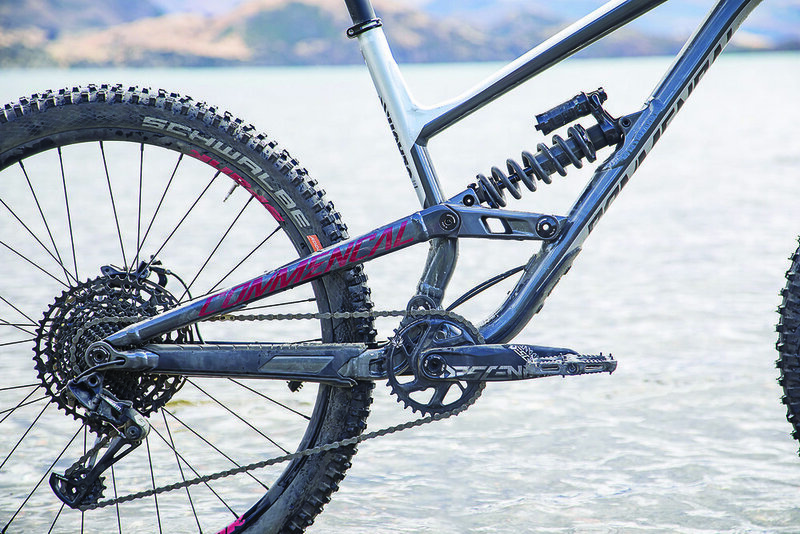 200mm Code RS brakes keep things under control, with a sturdy Spank Oozy 350 wheelset that delivers a pleasant noise on the trail. Most of all, everything is built tough. Not overboard, but solid. I took the Clash to a playground I thought most suited to its big legs and playful characteristics: Queenstown’s Skyline Gondola. Having not ridden a coil in years, I was instantly aware of why they’re making such a comeback. The biggest of braking bumps seemed to be graded over, and long, off-camber roots felt more like a sticky pavement. The grip and supple feel is incomparable to an air shock. You do lack the ramp-up an air shock provides, but for the all-round fun this bike is made for, the coil seems perfect. Visually, this is a stunning bike. During my test period, a number of people came to get a closer look at its clean lines and great colour scheme. Subtle yet bold. 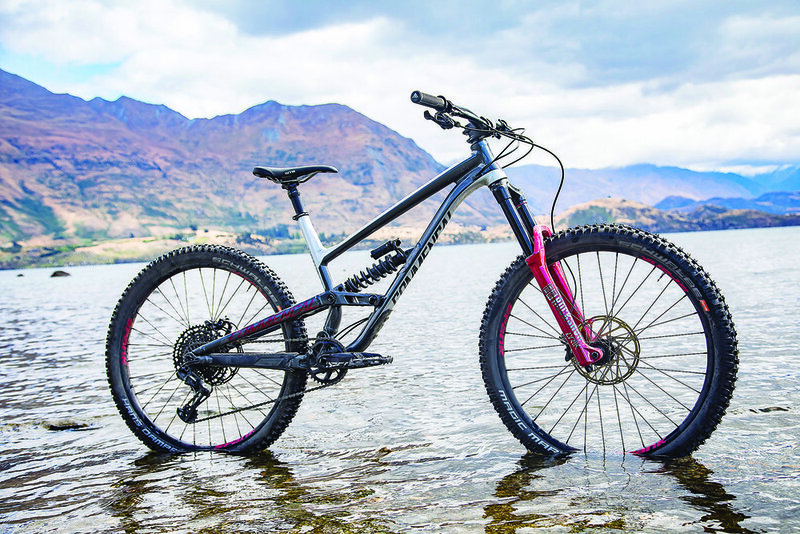 However, this has been no accident for Commencal, with the Clash utilising a concentric rear triangle pivot at the wheel axis, which separates the braking and suspension forces, further reinforcing that stable planted platform aided by the coil. However, don’t take this to mean this is a docile beast. The large I tested featured a 467mm reach and comfortable 434mm chainstays, coupled with a 65 degree head tube angle. None of these numbers are awfully ground-breaking in the current need to stretch and slacken everything, but that’s not what the Clash is all about. It wants to swerve and pop its way down a trail, and it does this in an incredibly responsive, comfortable, and confidence-inspiring way. It never feels like it’s the pilot, and it’s always active underneath you. You’ll find yourself popping off every feature, linking bumps with manuals, and slapping turns on every run. The grins are inevitable. The nimble yet planted attributes are a credit to Commencal for getting all the numbers spot on, and backing it up with a solid, purposeful build to replicate this. Marketed in the Enduro category, naturally I needed to see how she climbed, so I opted for a quick 600 vertical metres to get an idea. Turns out climbing isn’t a problem. Obviously it won’t be as quick as your 120mm rig, but it isn’t painful in the slightest. The Super Deluxe coil was solid under pedalling, and also features a lockout. A comfortable 75.5 degree seat tube angle positions you right over the pedals for efficient power transfer. And at only 15kg it’s far from a heavyweight. 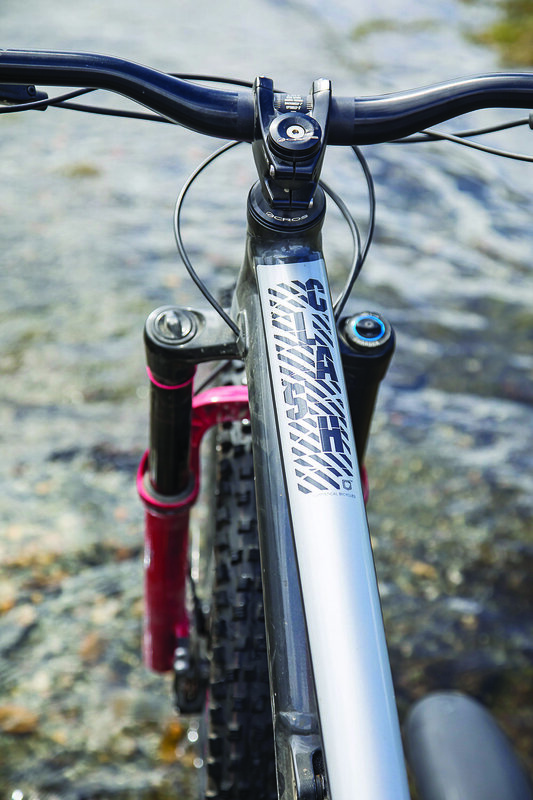 Is 180mm necessary for your everyday bike? Maybe not. But the Clash is a fun-focused, bike park bike. So if you’re lucky enough to be graced with big local downhills, perhaps a lift accessed bike park on your doorstep, and are partial to a send or two, you’ll be in heaven. And if you want to pedal, hey, it can do that too. Enjoy.